The gang’s nonclacent, messed up values where stealing and violence are casually accepted – as normal as ‘playing FIFA’ – are convincingly portrayed. 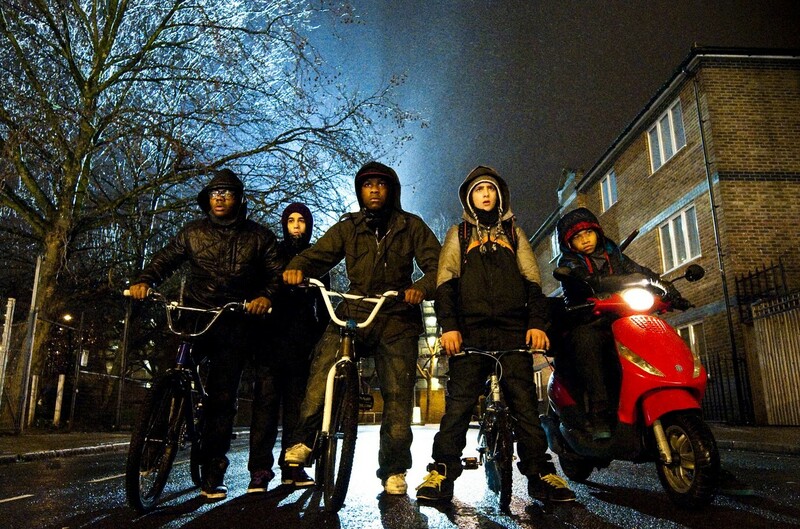 The film does not glorify or gloss over the savageness of the gang’s behaviour. But it does capture the moral ambiguity of how we judge them. This is a tension that I have experienced when living on similar estates: on one hand, they are dangerous criminals to be feared – but on the other hand they are children. The theme of ineffectual and neglectful parenting runs throughout the film and the most poignant moment is when you see Moses’ bedroom who is 15 year old. He might be the intimidating leader of a criminal gang but he still has a spiderman duvet. The theme that most spoke to me was the chaos that comes from retribution and violence. The climax of the film shows the gang leader’s sorrow about what he has started, and his determination to save the block from the ruthless attackers, even if it means sacrificing himself. There is no simple happy ending – but something of a redemption none the less. Thanks for the wonderful work GOD has enabled you to do when you still breath air with out pay. am requesting to know how best you can support the community both spiritually and physically to deal with poverty .